Native plants provide food, shelter, habitat, and a host of other benefits to their natural range. Unfortunately, the existence of introduced species can force out native plants and create environmental issues. Hawkweed (Hieracium spp.) is a good example of either a native or introduced species. There are about 28 types of hawkweed found in North America, but only half are native varieties. What is hawkweed? 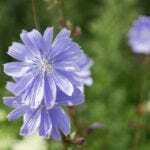 This relative of chicory is a fast spreading plant with introduced species that are rapidly claiming native habitat. The plant is considered a pest and hawkweed control is paramount in some Northwest and Canadian areas. There are around 13 types of hawkweed that are native to North America. These are capable of overtaking fields in a short period of time. Recognizing the plant is imperative to controlling hawkweed species that are not native. The plant has an attractive brightly colored dandelion-like flower that rises from a short rosette of 4- to 6-inch long flat, narrow leaves. The leaves are covered in fine hairs, the number of which varies by species. Hawkweed stems contain a milky sap and may extend 10 to 36 inches out from the plant. The perennial weed forms stolens, which further spread the plant. The most invasive of the European species are the yellow, orange and mouse ear hawkweeds (H. pilosella). Orange hawkweed (H. aurantiacum) is the most common form of the weed in western North America. The yellow variety (H. pratense) is also referred to as meadow hawkweed, but there are also yellow devil and king devil hawkweeds. Hawkweed control relies on early detection and persistent chemical applications. In fields, the plant quickly crowds out native species, which makes controlling hawkweed important in affected areas. Hawkweed can escape cultivation and infest fields, ditches and open areas. The plant’s stolens spread out and create daughter plants, spreading rapidly in a mat of greenery that disrupts natural plantings. Controlling hawkweeds that are random and scattered is easily done by digging out the entire plant and roots. Hawkweed control gets trickier when it has been allowed to spread. For serious infestations, chemicals are recommended. 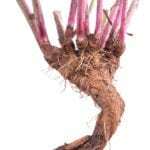 Selective herbicides applied according to the manufacturer’s instructions in early spring, can knock out the young plants. Chemicals such as Chopyralid and Glyphosate are effective in home landscapes, but field management requires heavy duty herbicides like Aminopyralid. 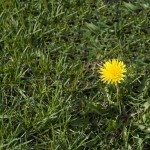 Controlling hawkweed with fertilizer applications in spring increases grasses and other ground covers to help choke out the weed. 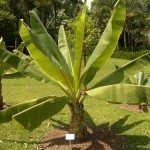 The organic gardener tries not to use any herbicides or chemicals in the landscape. In order to get some help controlling weed pests, new trials in biological warfare on problem plants are being studied. Studies on which insects eat the plant are being conducted and once the primary predators are identified, they will be monitored to ensure their presence doesn’t have a negative effect on other plants. This is a time consuming process but bio-control on other pest species has been very effective and safe. 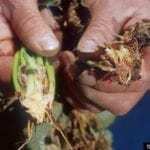 For now, a combination of fertilization, manual control and spot chemical application on hawkweed, provide the best method of managing this pest plant.